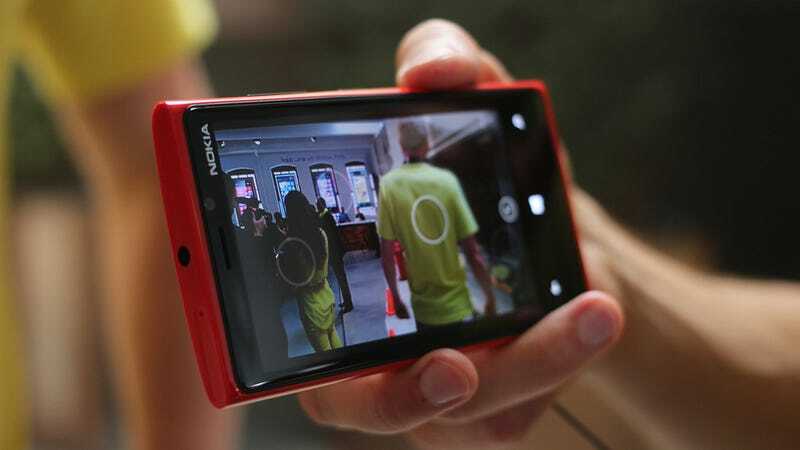 Is Nokia Investing in Lytro-Style Camera Tech for Phones? Bloomberg is reporting that Nokia is planning to invest in a Californian startup which creates Lytro-style camera technology slim enough to squeeze into a mobile phone. The company in question is Pelican Imaging, which produces a complex sensor array and combines it with algorithmic processing to allow users to adjust an image's focus after it has been captured. That means that it can do without the extra lens required by Lytro's light field technique, making it possible to squeeze into a phone, but also provides far better results than the software-only option recently shown off in FocusTwist. Nokia has a bit of a love affair with fancy cameras: first it put out the wild 41-megapixel 808 PureView, then it made a big deal about the image stabilization features of the Lumia 920. Now, rumor has it that the two will mesh, with a full-on PureView camera reportedly making an appearance in a Lumia handset soon.